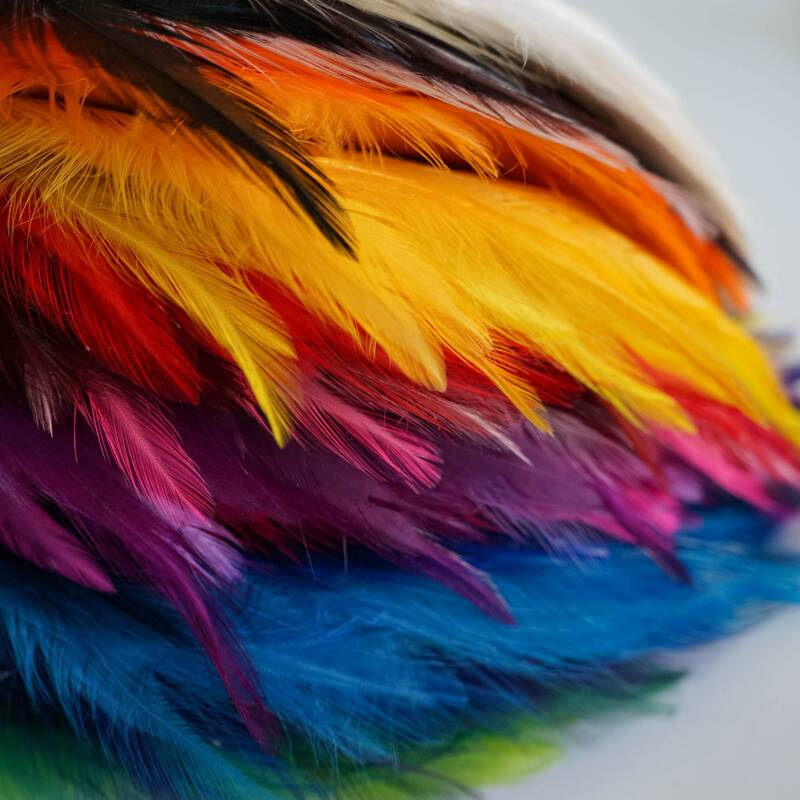 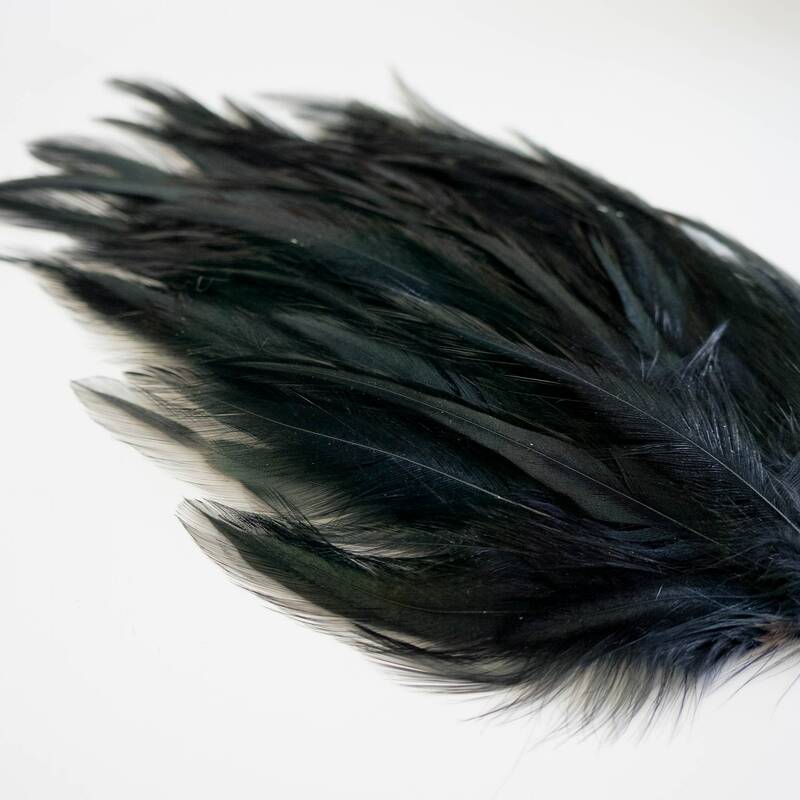 Dyed Hackle Pads per Dozen for DIY Feather Fascinator, Millinery, Costume and Carnival Design are made with dyed Rooster hackle feathers that have been glued on to a piece of fabric. 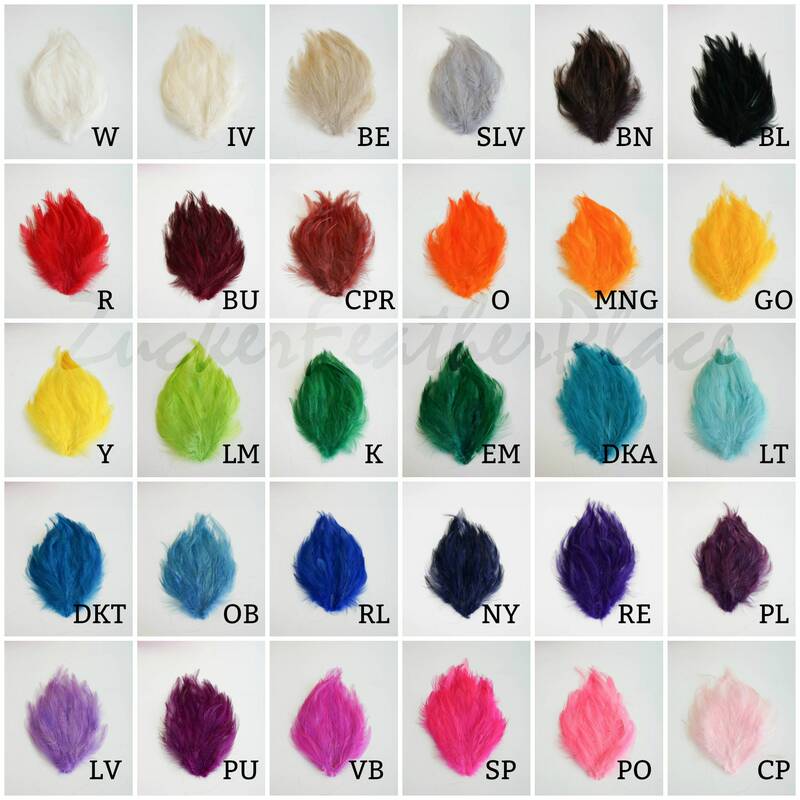 They are approximately 5" x 7.5" and come in a BULK 12 piece package per color. 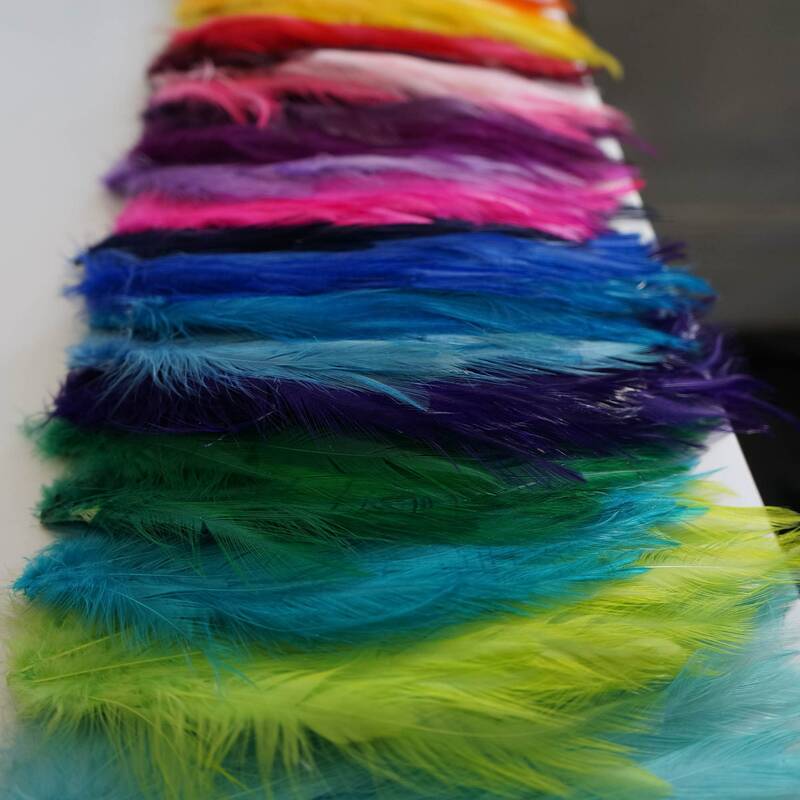 Our products are made with a natural matrieals, therefore each item will have unique differences and variances. 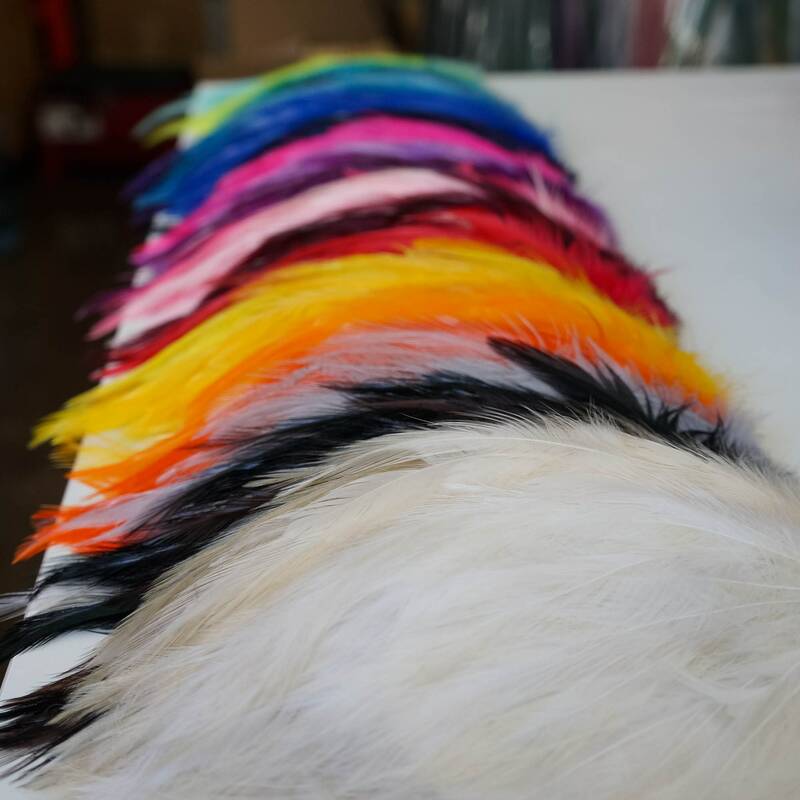 Some items have been handmade and manufactured by our partners in China.